Everything was super clean! And the kitchen had dishes and other facilities to be used. Lovely, clean apartment. Easy to get to from train station and easy access to Vienna CBD via metro. Love the system with the key :). 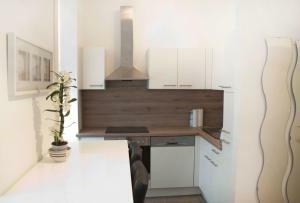 The kitchen was clean and well equipped Central situated. A perfect stay. it's the best place to participate the Messe Wien. 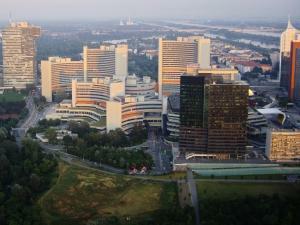 It is near Praterstern station and there is a metro station very close, so access to the city is excellent. The general neighbourhood is cozy. Loved the location and design of the apartment. Easy access and really comfortable bed. The flat was in a good location, just a few minutes walk from the underground station. There was a decent shower, and a washing machine if required. The kitchen was small but adequate. 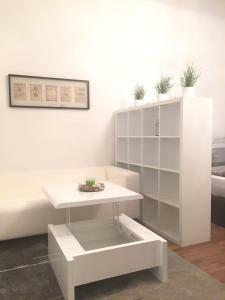 The apartment had everything we needed, was nicely furnished and was very close to the Vorgattenstrasse Underground. Lock in a great price for Urban Flats Vienna Danube – rated 8.1 by recent guests! Located within a 17-minute walk of Messe Wien Exhibition and Congress Center in Vienna, Urban Flats Vienna Danube provides accommodations with free WiFi. The units have a fully equipped kitchen with dining area, a dishwasher and an oven. A toaster and fridge are also featured, as well as a coffee machine and an electric tea pot. Vienna Prater Amusement Park is 1.1 miles from the apartment, while Kunst Haus Wien - Museum Hundertwasser is 1.2 miles away. Schwechat Airport is 12 miles from the property. When would you like to stay at Urban Flats Vienna Danube? This apartment is located on the second floor. Please note that there is no elevator in the building. This apartment is located on the fourth floor. Please note that there is no elevator in the building. This apartment is located on the third floor. Please note that there is no elevator in the building. 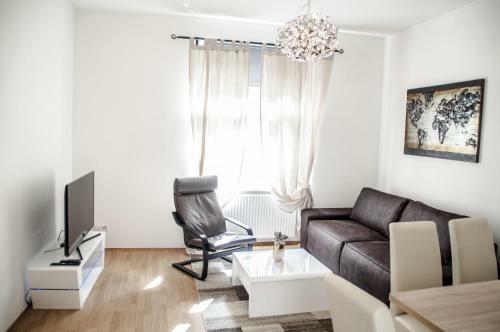 This bright apartment has 2 bedrooms, a living room with a sofa bed and a dining area, a well-equipped kitchen, a bathroom, and a separate toilet. 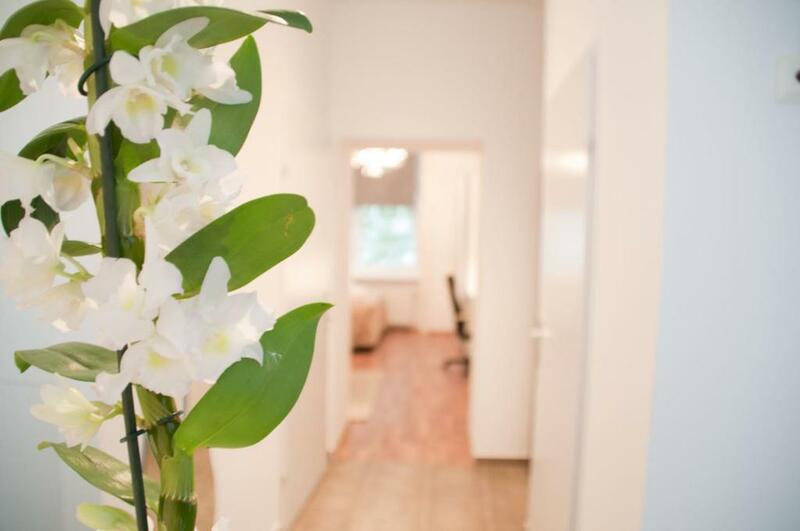 Explore Vienna from our Apartments with its magnificent architecture and the famous “Viennese charm”. Follow in the footsteps of Freud, Sissi or other famous Viennese personalities. Our apartments offer the perfect base to explore the rich offer of the capital. House Rules Urban Flats Vienna Danube takes special requests – add in the next step! Debit card Urban Flats Vienna Danube accepts these cards and reserves the right to temporarily hold an amount prior to arrival. Urban Flats Vienna Danube accepts these cards and reserves the right to temporarily hold an amount prior to arrival. Please note that there is no elevator in the building. Staff can assist you with taking your luggage to your apartment. Please note that there is no reception. Check in takes place in front of the apartment. Guests are kindly requested to follow the house rules, which will be send via email after making a reservation. Please inform Urban Flats Vienna Danube of your expected arrival time in advance. You can use the Special Requests box when booking, or contact the property directly using the contact details in your confirmation. Please note that check-in and key collection take place at: Ybbstrasse 46, Vienna 1020. The pillows and mattress weren't good. There was not Netflix. The flat location and accomodation. I couldn't find anyone to get the invoice. No one cleaned the room. No soap to wash your hands. There was everything but soap. Little minus. I for myself don't carry soap with me and I don't mean shower gel. The apartment was very nice and clean. The fat was very cold, only 18-19C, when it was -1C outside. I connected the hosts, but it didn't help. I couldn't get normal TV channels working, only some internet services. The building is in bad shape. All in all, poor cost/benefit ratio. no elevator make harder to carry the bigger luggage. The blinds didn't fit the windows, and neither closed nor opened properly. The bedding was of poor quality - reminiscent of a shabby student flat. There was no contact with a person at 'check-in' or at the end. We were woken at 6.30am on three mornings of the five we stayed, by men emptying the dustbins just outside the flat. None of the blinds on the three different windows fitted properly. In the studio area, if you pulled the blind right down, it was difficult to get it to retract. In the dining area, the blind was too wide for the opening, so could not be pulled down properly, allowing anyone to look in. In the kitchen area, it was too short.